Oral health has great influence on overall health, according to studies. For instance, gum disease, which affects 80% of adults, can increase risk for heart attack, stroke, and other serious health concerns. Another culprit, oral cancer, claims 7500 American lives each year – but found and treated early, the condition can often be arrested. You may not consider a little cavity a big problem. Left untreated, dental caries (the clinical name for tooth decay), can spread to other teeth or allow infection to reach the blood stream and increase potential for serious health problems. Furthermore, studies show that people without teeth don’t live as long as those with a full, healthy smile. These facts aren’t intended to scare you, but to make you aware of the importance of general and preventive dental care for your family. 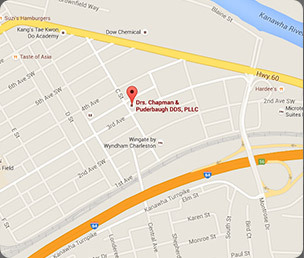 As general dentists, Dr. Chapman and Dr. Puderbaugh have studied a wide range of oral health problems and treatments. Our entire team would love the opportunity to partner with you and work toward optimal oral health, which can improve your overall health, quality of life, and self-confidence. The first step in gaining and maintaining great oral health is to attend six-month checkups and cleanings. At these visits, our team will monitor changes in your mouth – teeth, gums, and function. We can find and address problems in the earliest stage, when conservative treatment is effective. This will not only preserve your oral health, but it can save you the time, pain, and expense of more significant dental work in the future. In addition, please tell the dentist if you suffer from teeth grinding, morning headaches, or jaw pain. These issues could relate to improper alignment of your temporomandibular joints. A simple oral appliance may relieve your pain and stop destructive grinding behavior. 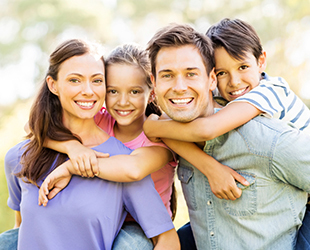 Call our South Charleston dental office today to schedule checkups and cleanings for the smiles you love most.